When I visualise a Blacksmith in my head, I usually think of a guy that’s physically big, with hands like shovels and a blackened face. A man with a large hammer in his hand beating metal to an inch of it life with sparks flying everywhere. To a large extent, that’s what I found when I visited one of the few surviving Blacksmiths in Cornwall. There I met Steven. A modern day Blacksmith following the old school methods. Steven hasn’t been a Blacksmith all of his life. He followed a different career path first by going to Uni to study Psychology. After leaving Uni, he worked in the private sector but the recession hit and he unfortunately got made redundant, so he moved back to Ireland. He refocussed on his future and thought that Blacksmithing would be an interesting route to follow. He found the right course, got accepted and spent the next 3 years studying. He graduated with a distinction, ending up with the Certificate of Competence from the Worshipful Company of Blacksmiths. Steven then set about looking for a forge and it wasn’t too long before he found that The Old Smithy in Mawnan, Cornwall was up for sale. He applied for a business loan and the rest is history. Steven’s client list is varied, throughout the UK and abroad. 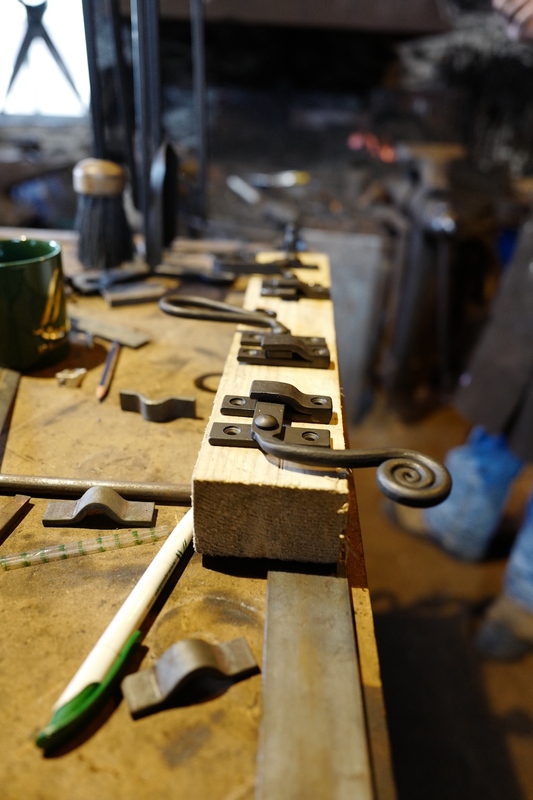 Steven told me: “I strive to provide my clients with quality handmade decorative and functional ironwork, designing alongside them for a bespoke product fit for purpose. This means that the work I undertake changes all the time, providing me with a sense of satisfaction from adapting my skills to meet client specifications”. My visit to Steven’s forge turned out to be a rather productive one. I got the opportunity to make something myself, under Steven’s guidance of course. Let me tell you this, it’s not as easy as Steven made it look when I was shooting him. 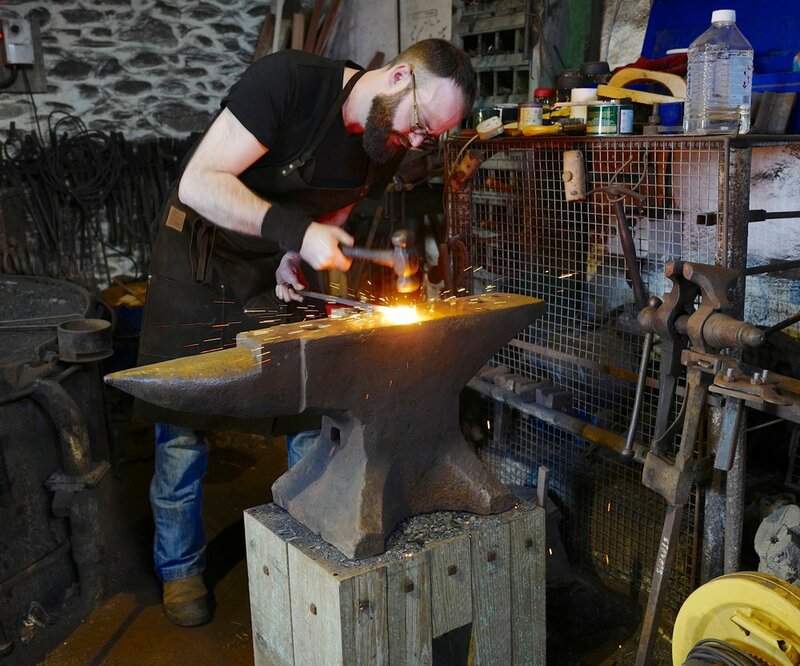 There’s a huge amount of skills involved in what Steven creates and it’s not all about just hammering an anvil. That day there was a lot of heat, fire, colour and sparks. It all added to a really enjoyable and interesting day. I loved it.